Everybody’s Kitchen, also known as EVK, is the oldest residential dining hall on campus. Chances are good that if you had a grandparent or parent who attended USC, they ate at EVK. Today’s Everybody’s Kitchen is not the same! The venue underwent an extensive renovation in 2010 and has been beautifully updated. 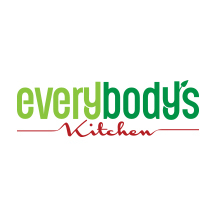 Under the direction of Chef David Teal, the 2015 NACUFS Pacific Region Culinary Challenge Champion, Everybody’s Kitchen will introduce new menus reminiscent of home. Nope, you won’t find the hard to pronounce, trendy, what is that?? selections here. We feature home-style favorites that are wholesomely prepared to leave you satisfied. Be sure to check out our theme nights, where we transform the dining room, bring in entertainment and let our chefs “go all out” with the menu. Be sure to come dressed to theme to be in our costume contest. See the Facebook event for full details. Each residential community is anchored by an all-you-care to eat dining venue. Specific meal plan participants enjoy unlimited access to all three restaurants. Each restaurant offers a different culinary experience appealing to a variety of dining preferences and nutritional lifestyles of our diverse student population.